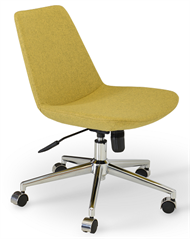 Eiffel Office Chair by Soho Concept with comfortable upholstered seat and backrest on height adjustable gas piston base that swivels and tilts. 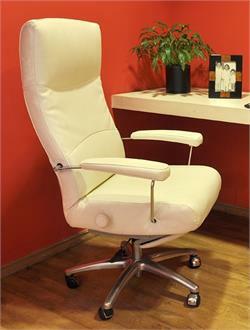 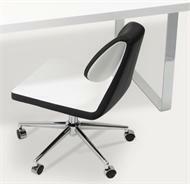 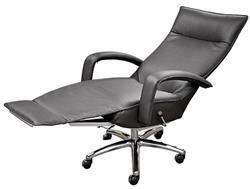 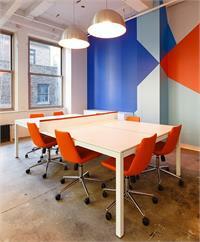 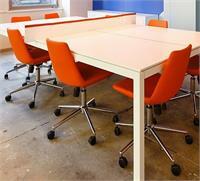 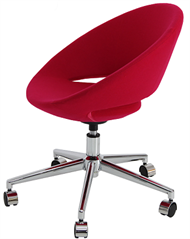 Eiffel Office Chair has a five star swivel base with plastic casters. 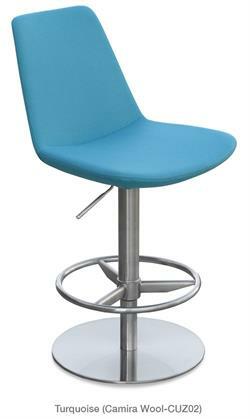 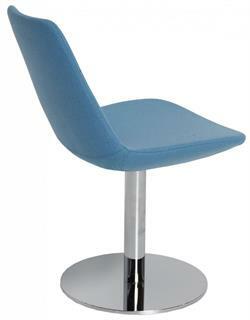 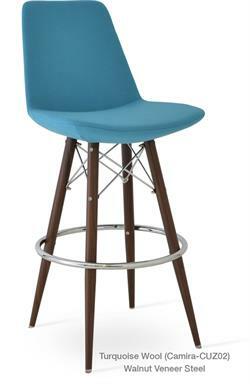 Also available in a model with arms and also available as a dining chair and bar stool. 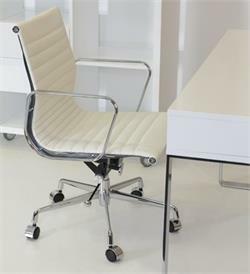 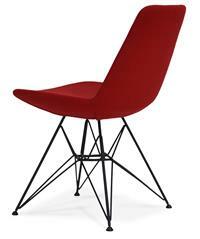 Eiffel Office Chair seat has a steel structure with S shape springs for extra flexibility and strength. 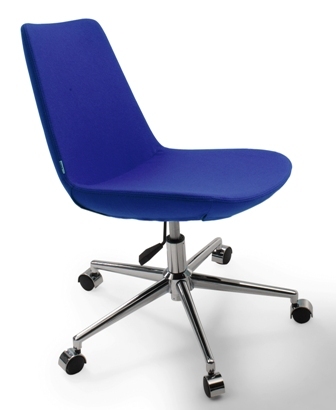 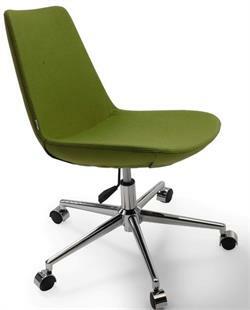 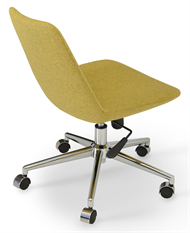 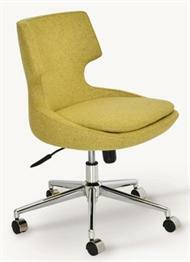 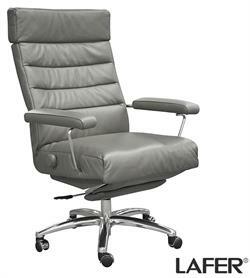 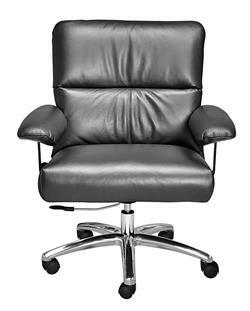 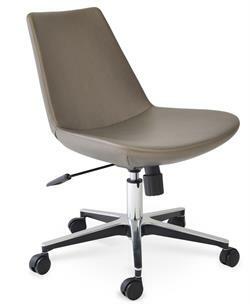 Eiffel Office Chair seat is upholstered with a removable velcro enclosed leather, PPM or wool fabric slip cover. 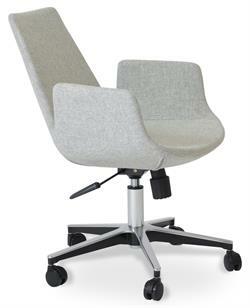 The Eiffel Office Chair by Soho Concept chair is suitable for both residential and commercial use as a home office chair, desk chair, office chair, commercial chair. 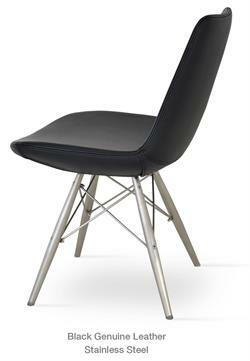 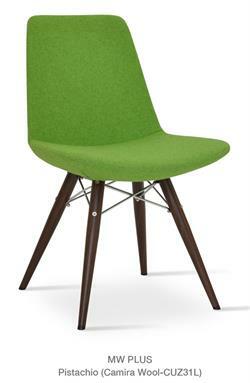 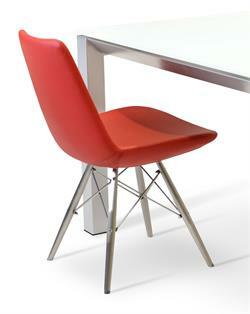 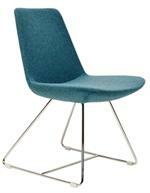 H 30-33" W 19.5" D 23" Seat H 15-18"
Soho Concept Furniture Lead time: Most items in-stock and ship in 2-3 days after you order.